Many Android games have been released in 2018, but a genre that gets lots of spotlights, especially anime fan is RPG (Role-Playing Game). RPG games much favored by many people because it has many features, very interesting, and make you addicted to playing them. In addition, most of the Android RPGs are free to play, allow players to interact, customize the characters, and battle with other players. Therefore, in this post, we will pick some of the Best RPG Games for Android 2018 which you can get for free on Google Play Store. We know 2018 is not over yet, but we decided to write this list now because we think a lot of games in this genre have been released on Google Play. 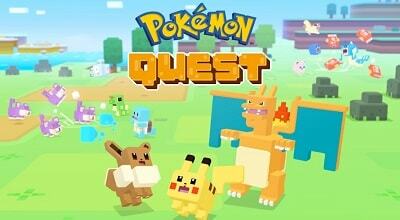 After coming to Nintendo Switch in May 2018, Pokémon Quest is now available on the Google Play Store with an impressive rating. Pokemon are now converted into Minecraft-like cubes of themselves and inhabit a colorful world called Tumblecube Island. After choosing a pokémon companion to start your adventure, Trainer is assigned to explore the island for treasure. Then, you can select trio Pokemon into combat, although it does not use a familiar turn-based combat like other Pokémon RPGs. Instead, Pokémon Quest limits the player's control over their Pokémon to tap the attack meter once they are full. Otherwise, Pokémon will attack automatically. 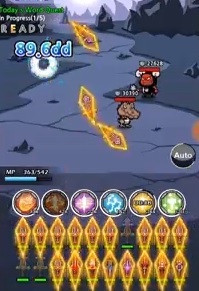 Once again, more game from Nexon that can make you feel amazed. 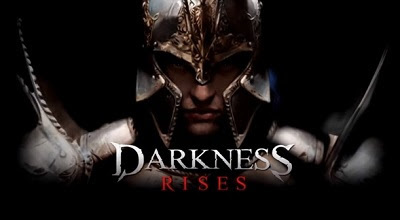 Darkness Rises is a revolutionary action RPG that blends beautiful graphics, innovative gameplay, and intense boss battles. Hero customization gives you so much freedom so it will be hard to find 2 similar characters, including equipment. Each hero has many skills to match with your game style. Like other RPG games, you can collect allies and guild friends to explore the dungeon together to find a rare treasure. We highly recommend this game. Durango Wildlands is a dinosaur-themed game where players strive to survive alongside ancient creatures. The game begins with a scene where an inexplicable time-space distortion pulls you out of the Earth and drops you into a mysterious world that contains the foreign islands of Durango. Well, for those of you who like Last Day on Earth: Survival, maybe you also like this game. Both are great games, if you like a zombie-themed game, then choose Last Day on Earth, but if you like dinosaur things, then choose Durango. Unfortunately, it's still only available in Korea and Indonesia for now, but you can use VPN if you want to play it. One of the exciting RPG games released on mobile is Knights Chronicle, a game launched by Netmarble globally on June 14, 2018. Knights Chronicle uses a turn-based battle system, so players have to wait to be able to control the hero. Each character is equipped with a minimum of 3 skills, skill #1, skill # 2, and skill#3 as the ultimate skill. Each skill also has a different cooldown time, except skill # 1, because the skill categorized as a basic attack. This game is great, fun, and entertaining. Some of the main things players love about this game are the good storyline, stunning animation, and nice voice acting. It's like a combination of Seven Knights and Summoners War which is a nice touch. Blade Crafter is one of the best RPGs with a small download size offered by Studio Drill. It's a crafting game where you craft weapons, especially swords, and kill enemies to earn gold. Gold you earned used to enhance skills, weapons, and others. Blade Crafter has many different types of sword and your goal is to craft or unlock them all as fast as you can. Got high expectations among Android game enthusiasts because it has outstanding graphics, but in fact, when it released does not meet what the players wish. This game does have good graphics, characters, and flashy animation, but unfortunately, the smell of pay to win is very felt in this game, the battle is done automatically, and do not give priority to the skill of the players. But if you search a game with auto attack feature, maybe you will like this game. Even so, this game is still included in the top RPGs released this year. This could be a better game if the developer cares about the gameplay as well. Asobimo is known for publishing cool RPG games, not "pay to win" like Toram Online and Goddess Primal, now releasing a new game called AlchemiaStory. Gameplay and story of this game are very dense with classic JRPG. Here you can also customize your character from hair style, hair color, eyebrows, and body shape. You can play solo or play with other MMORPG communities. That's the Top 7 Best RPG Games for Android 2018 you should try to play this year. Maybe some of you already play some games above now. We think that's enough for this post, I hope this article can be a reference for you who are looking for the best android games this year. Thanks.